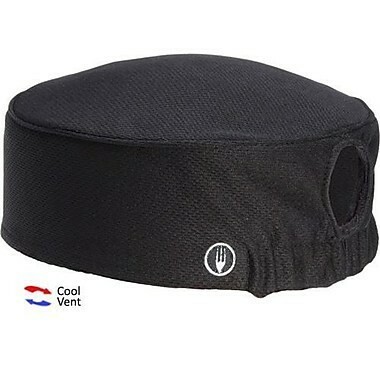 Your women kitchen staff will look stylish and chic in the Chef Works DFAOW Total Vent Women's White Beanie. Designed with a Cool Vent fabric and an internal terry cloth sweatband, this beanie facilitates proper air flow and wicks moisture away from the head for all day comfort. This beanie also has an elastic back for a secure fit and an opening for a pony tail. Thanks to its 100% polyester base, this women's beanie will withstand daily use and repeated washings.